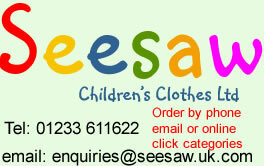 A cosy jacket which is completely reversible. 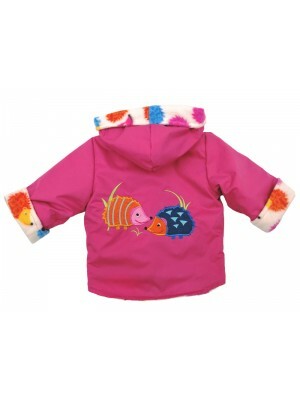 A cuddle fleece on one side and water resistant on the other featuring a Hedgehog applique on the back. Popper openings down the front and a nice roomy hood. Fabric Content – Polyest..
Reversible jacket with a soft micro fibre water resistant on one side and a cuddly pink sheep fleece on the other featuring a happy farmyard gathering on the back. Popper openings at the front and a generous hood. Fabric Content – Cotton Cor..
A gorgeous soft and comfortable water resistant jacket with a flamingo applique on the back and a cuddle fleece reverse. Popper openings at the front and a generous hood. 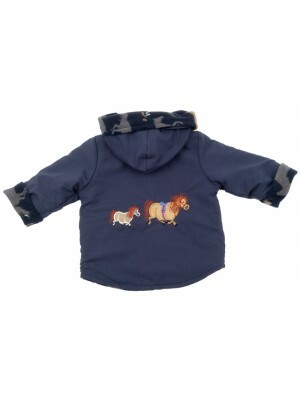 Fabric Content – Polyester Water Resistant Polyester Fleece Garm..
A gorgeous reversible water resistant jacket with a soft micro fibre on one side featuring a Unicorn applique and a lovely cuddly fleece on the other. Popper openings at the front and a generous hood. Fabric Content – Polyester Micro Fibre/P..
A light and soft cuddly jacket with a water resistant micro fibre on one side featuring a pony applique and a soft horse fleece on the other. Popper openings at the front and a generous hood. Fabric Content – Polyester Micro Fibre/..
A completely reversible cosy water resistant on one side and a penguin cuddle fleece on other. Popper openings down the front and a lovely roomy hood. Fabric Content – Polyester Micro Fibre/Polyester Fleece Garment Care –..